Eolo shower system is a 100% Italian modular design for all possible bathroom doors measures and for either 180 ° or 90 ° symmetrical or asymmetrical corners. With only 6 door measures and 8 fixed panels combined with each other you can install in all existing measures in your projects. Everything is available in stock (fittings, tubing and tempered glass of 10mm) and sold individually. 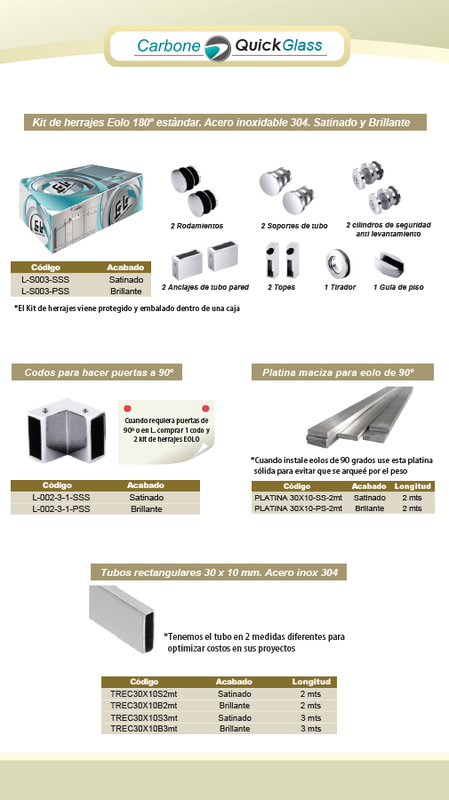 This system is economical and practical for large projects with multiple measures. 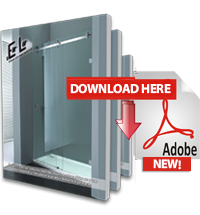 Moreover, Eolo shower system has a quick selection of measures which has centimeter by centimeter complete information on what door code and fixed must be used according to their particular measure.